Greenbackd has been quiet over the last few days while I finished “Simple But Not Easy,” my latest white paper for Eyquem (embedded below). If you want to receive similar future missives, shoot me an email at greenbackd at gmail dot com. Thoughts, criticisms, and questions are all welcome too. If the answer is in your book, let me know, and I will purchase a copy! I was surprised the P/BV ratio wasn’t #1. But I was curious if you did any tests on the P/B ratio w/ varying leverage ratios. I’m taking a guess here, but I imagine many of the extremely low EV/EBITDA companies are not cheap because of under-appreciated earnings power; but, because they have a substantial net cash balance. Effectively, you have a company w/ excess capital that can be put to work and drive incremental earnings. Walter Schloss’ strategy was to buy stocks below book w/ minimal debt — allowing the company time to fixed their problems. He held stocks in excess of 100, and crushed the market. Interesting read, it leaves me wondering though, why does EV/EBITDA outperform other ratios and how could one decompose the components that make it outperform vs say P/E? There’s more information in EV/EBITDA, so that might be a reason. I think what I’m getting at is, is EV/EBITDA the best ratio to use, what factors make it better than others, and could factors be excluded/included to make it even better? Also, when you suggest using the Russell 1000 value, that index is actually weighted by price to book, which is clearly not the best methodology…. I don’t discuss Russell 1000 value at any stage. I use Russell 1000 – the index, not value – as a comparison. Russell 1000 is market capitalization-weighted. During the period studied (2007-2011) the growth index (VIGAX) outperformed the value index (VVIAX) by 29%. Does this prove that growth > value? No. Why? Because this period was unusual. During this period active growth beat passive growth. Does this prove that active is better than passive? Again the answer is no. Why? Because this period was unusual. Since this period was unusual how can you use it to prove that quantitative value is better than active value? The Loughran Wellman study covers the period 1926 to 2010, and finds something similar, but you’re right, more research needs to be done to understand why active underperforms passive. Also very happy to be directed to research that active value > passive value. Actually, I agree with your premise that passive will do better than active. I even suspect that quantitative value will do better than active value. However, I wouldn’t use Damdoram’s study to prove this second point because the time period is too short to be conclusive. Going forward I suspect that the advantage of quantitative value will narrow. Active managers are using quantitative screening more than they used to. I thought this was a very thoughtful presentation on investing and our built in limitations. Many of our investment attitudes, I believe, are morally based “pride, selfishness, inflated self image, gluttony, greed” and play a prominent part in all of our thoughts and actions. Please put out more thoughtful posts like this. Very interesting paper. 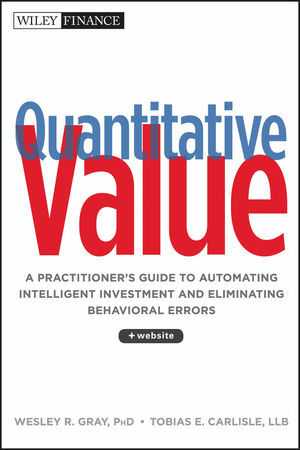 I have struggled with the quantitative vs. qualitative approach to value investment. 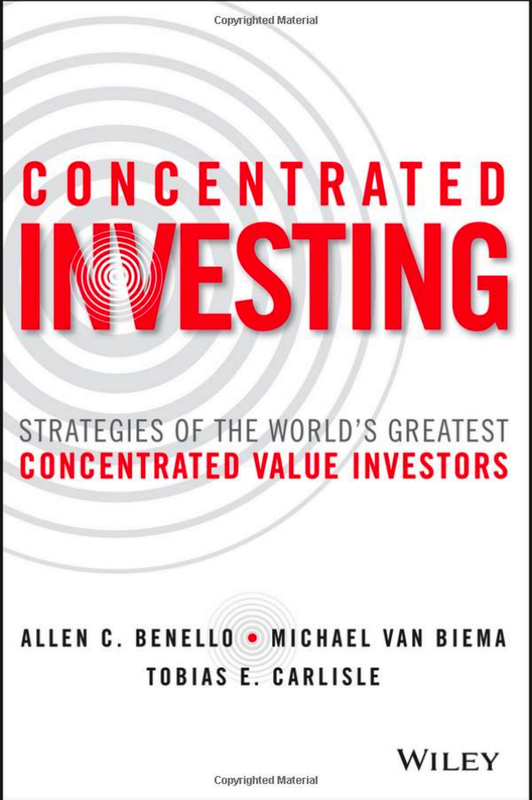 Quantitative value investing — as you say — is “easy”. You run screens, identify statistical bargains, sell, buy, rebalance, repeat — over and over for years and years. It’s certainly a good way to achieving above-market returns over the long-term — I have no doubt about this. But for the more curious (those of us that are interested in learning about businesses) it doesn’t feel that “satisfying” (even though the results may themselves be satisfying). I’ve struggled with this alot. I also believe that quantitative value investing — while it will provide you with good long-terms returns — will probably not allow you to compound at very high rates of return (unless you add portfolio leverage). This latter “problem” might in fact be it’s strength — I suppose it’s naive to to think that you’ll compound at 20+ per anum over the long-term when very few actually have…How have you reconciled these issues as an investor?